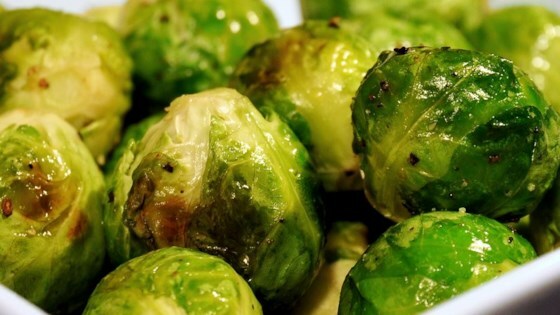 As an adult one of my favorite vegetables is Brussel sprouts. As a kid I hated them. Everything from the smell to the taste. I didn’t want them, like them, or even want to see them. These days I am singing a different tune. I love them, but only if they are roasted. They are easy to roast and make a great addition to any meal. I have even used leftovers in my salad the next day. They are amazing with a vinaigrette dressing. Preheat oven to 400 degrees. Clean sprouts and cut them in half. Remove any yellow leaves or stems. Toss sprouts, olive oil, salt, and pepper in bowl. Put on piece of aluminum foil big enough to seal sprouts. For and extra kick, lay jalapeño slices on top of sprouts. Seal in foil packet and bake in oven for 20 minutes. Toss Brussel sprouts and bake another 20 minutes.